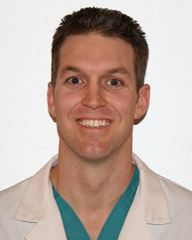 Dr. Pahl has extensive experience caring for sports teams and working with athletes. He has worked with a wide variety of athletes during his training including working with the Philadelphia Eagles of the NFL, Philadelphia Phillies of Major League Baseball, Philadelphia Wings of the National Lacrosse League, WWE professional wrestling, and the Philadelphia Crush of the LFL. He has also cared for several different local high school teams. He currently serves as team physician for Long Beach State University and works with the World Surfing League. He is currently the Chairman of Orthopaedic Surgery at Long Beach Memorial Medical Center. He is an active member of the Arthroscopy Association of North America and the American Orthopedic Society for Sports Medicine. Dr. Pahl primarily sees patients at Memorial Orthopaedic Surgical Group in Long Beach and operates out of Long Beach Memorial Medical Center and The Memorial Care Surgical Center of Long Beach. He also sees patients part time at Ridgecrest Regional Hospital in Ridgecrest, California. In his free time Dr. Pahl enjoys spending time with his family and participating in water sports including surfing, swimming, SCUBA diving, boating, and sailing.